"Look Out, They're Behind You!" 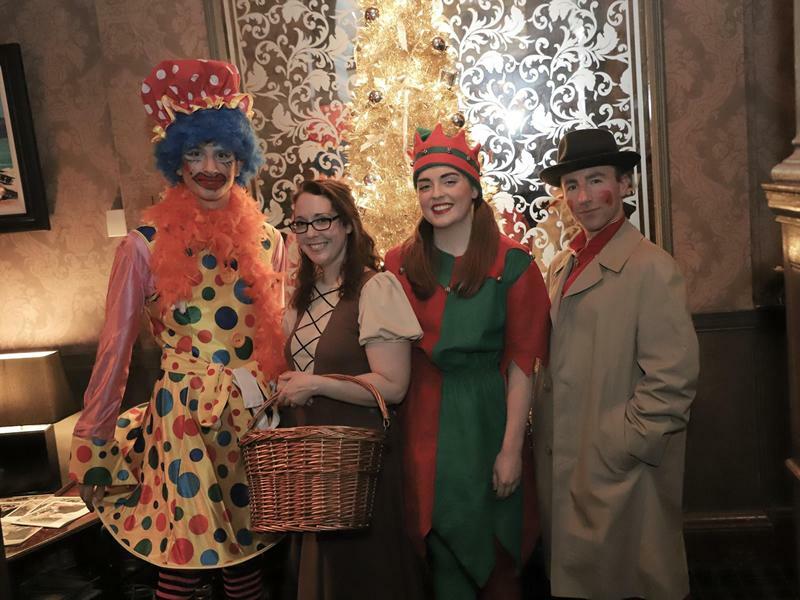 Yule have a wonderful time being entertained by four professional actors in the exquisite Riverside Lodge Hotel in Irvine. Witness the drama unfold before inspecting the clues and quizzing the suspects in order to solve the murder! Book now to experience Panto-Crime! for £35pp + booking fee & also enjoy a Festive Three-Course Meal followed by teas/coffees & mince pies! While we take every opportunity to ensure the details for Panto-Crime! A Festive Murder Mystery Dinner Party are accurate, we always advise that you contact the event organiser before setting out for the event to avoid disapointment.